Phillips earns first professional shutout, as Tulsa scores three third period goals to stay unbeaten at BOK Center. 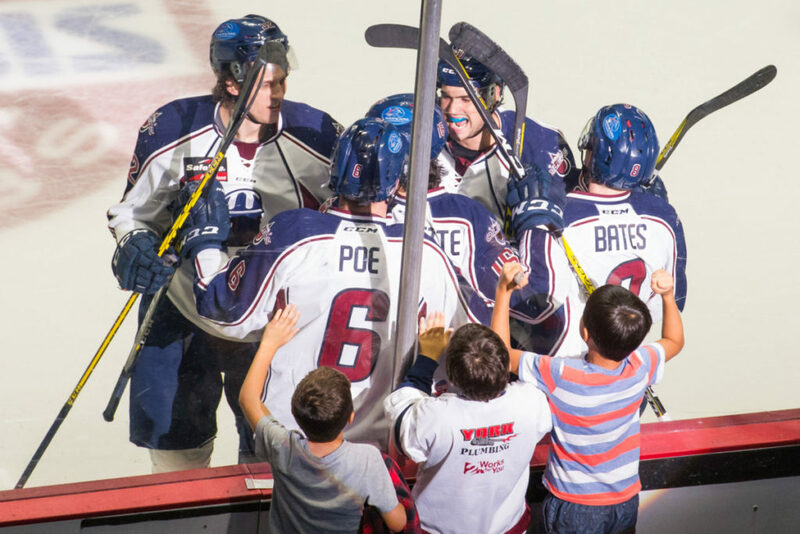 TULSA, OK – The BOK Center magic continued for the Tulsa Oilers Sunday as rookie goaltender Jamie Phillips posted his first career shutout in leading the Oilers to a 3-0 whitewash of the Utah Grizzlies. The teams completed a scoreless opening frame, as Utah held a 10-5 shots advantage entering the first intermission. Tulsa was unsuccessful on two first period power plays, but killed off the only Grizzlies man-advantage. The scoring chances picked up in the second period, but both Phillips and Grizzlies goaltender Ryan Faragher stole the show. Phillips stopped all 12 Utah shots in the frame for a two-period total of 22, while Faragher turned away 17 Tulsa attempts in the period, also giving him 22 total in a scoreless game headed to the third. Garrett Ladd broke the deadlocked score, when he jammed in a rebound in front of the Utah net 1:50 into the third period for his second goal in as many nights. Oilers veteran Danick Paquette made it 2-0 with a highlight reel move around the last line of defense, before lifting a shot over Faragher’s glove. Kale Kessy buried an empty-net goal to complete the scoring. He and Paquette each finished with a goal and an assist. Phillips stopped all 30 Utah shots in his league-leading ninth victory. It was the first career shutout for the ECHL’s Goaltender of the Month, moving his record to 9-0-0. The Oilers are now 7-0-0 at home and a league-best 9-2-0 overall. Tulsa welcomes the Fort Wayne Komets to the BOK Center at 7:05pm on Wednesday for the first of two meetings between the new Central Division opponents. Fans can purchase hot dogs for $1 at designated concession stands that night. Then, the Oilers travel to Wichita Friday for the rivals’ second meeting of the season at 7:05pm at Intrust Bank Arena, before Tulsa hosts the Thunder on Saturday at 7:05pm at the BOK Center. The Oilers will wear special “Golden Driller” jerseys, sponsored by The Jim Sports Bar, which will be auctioned off after the game.